The study of LGBT aging is in its infancy. In the absence of federal data on this often hidden population, community groups and organizations from across the country have taken it upon themselves to understand and assess the needs of this first cohort to reach later life in a time of LGBT public consciousness. Eight papers are included in this compilation: three from the east coast (Boston, New York, and Washington, DC), four from the Midwest (Chicago, Bowling Green and surrounding areas, St. Louis, and the twin cities of Minneapolis/St. Paul), and one from the west coast (Palm Springs area). Together, these reports provide a community-based and regionally nuanced image of the strengths of, and the challenges faced by, older LGBT persons—local snapshots that together form a partial tapestry of LGBT aging in the U.S. They also serve as a source of lessons learned in the field—efforts that may be seen to parallel those undertaken by LGBT communities, then forming, during the 1980s and 1990s to address the growing health crisis of HIV/AIDS, a time when formal responses were slow and treatments still being developed. As such, the voice of the communities represented herein—the voices of these older adults—is clear, strong and apparent. This book was originally published as a special issue of the Journal of Homosexuality. 9. 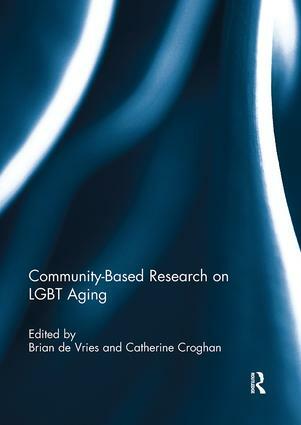 Do LGBT Aging Trainings Effectuate Positive Change in Mainstream Elder Service Providers? Brian de Vries is professor of Gerontology at San Francisco State University, California, USA. He has authored or co-authored over 80 articles or chapters on issues including LGBT aging; he has edited or co-edited 4 books. He is a fellow of the Gerontological Society of America and former co-Chair of the LGBT Aging Issues Network of the American Society on Aging. Catherine F. Croghan is a geriatric community health consultant and public health nurse. She frequently publishes and speaks on topics related to elder health and safety and has served on the American Society of Aging’s LGBT Aging Issues Network Leadership Council and the National LGBT Aging Resource Centre's Advisory Council. Catherine co-founded Training to Serve, a Minnesota-based non-profit organisation that has trained over 3,000 service providers to help them build skills for working with LGBT older adults.